Two weeks after iOS 6’s release, Apple’s Passbook has finally gotten real. Late Wednesday, Starbucks released a promised update to its iOS app that allows you to add your stored-value card for the coffee chain to Apple’s new wallet software. 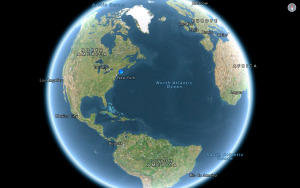 While Apple demoed a number of partners for Passbook during iOS 6’s introduction, and again at the iPhone 5 event in September, early adopters were mainly limited to using the digital wallet app for one-off items like plane tickets on certain airlines, as well as some tickets for some musical and sporting events. 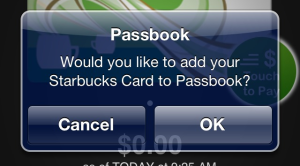 Starbucks is the first major example of Passbook’s utility for organizing stored-value cards. 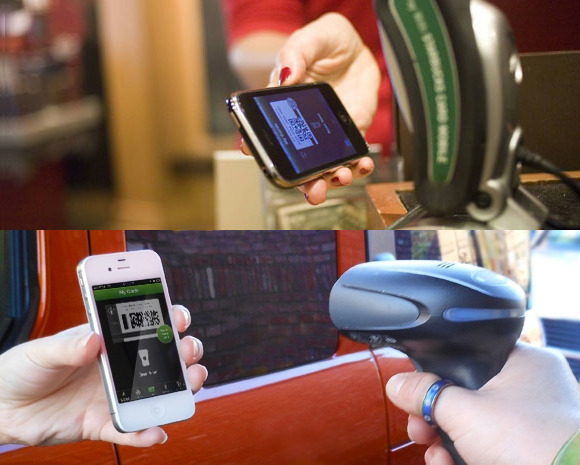 While you’ve long been able to display your Starbucks card, complete with barcode, within the company’s own app, the latest update adds the ability to add it to Passbook. You can also mark favorite stores so iOS can have your pass ready when you get close to their locations. The process for actually adding your Starbucks card to Passbook is straightforward, though it requires a lot of tapping—even more so if you don’t already have a Starbucks card. In that case you have to create a Starbucks account, add a payment method to fill up your card, and then finally add your card to Passbook. 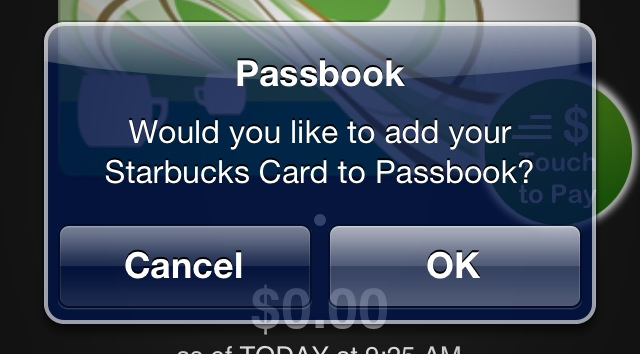 Pass it on: Starbucks's app prompts you to add your card to Passbook when you launch it. If you already have a card, the updated Starbucks app should prompt you when you open it. (Technically, it prompted me even though I had no account and a $0 value card, but it didn’t actually add it in that case.) You can also add it manually by tapping the Manage button on the Card screen and then tapping Add Card to Passbook. As far as Passbook integration goes, the philosophy seems to be better late than never. There’s been a surprising lack of push behind the technology at present, but the addition of Starbucks will probably provide a more common use case among consumers. Still, until most of them have more than one card to manage, it seems like Passbook is more of an added step then a substantial improvement over the Starbucks app itself.